Umbra's stylish stream double hook will keep your bathroom looking ever so good. 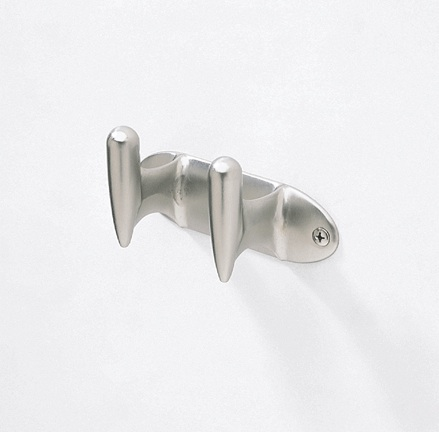 Double hook design is perfect for hanging such things as robes, towels, shower or bath accessories. Die cast metal with nickel plated finish. Includes concealed mounting hardware. 4.5" x 2".